2007 as the ‘Year of Broadband’ in India. Presently our Broadband penetration is quite modest at about 3 million connections. With USO scheme for coverage of rural areas and intense coverage of the country through exciting new disruptive wireless broadband technologies such as WiMAX, we expect to start adding more than one million broadband connections per month before the end of year 2007. This will be driven by seeding the whole country with robust and ubiquitous network connectivity. As soon as broadband connectivity reaches a critical mass which I expect to be some where in the middle of 2008, you would be hearing about the sequel to success story of mobile growth in India – that of Broadband growth in India. To trigger this growth, BSNL has come out with an aggressive plan for providing 5 million Broadband connections in the year 2007 itself and that too with minimum download speed of 1 MBPS. I have full trust that private operators will take up this challenge and make 2007 a real success for Broadband.Lets see what happen in new year . I wish happy new year to all my friends and readers . 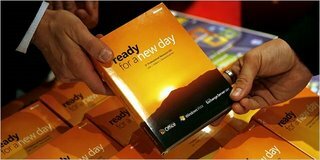 Microsoft new vista system as the most secure product has ever produced in security researches and hackers have started to find a serious flaws in the system . Discripition of vista flaw makes it possible to increase a user's privileges and now all of the companies using window's operating systm has included vista also .But there is some error in the software code underlying the company’s new Internet Explorer 7 browser. The browser flaw is particularly troubling because it potentially means that Web users could become infected with malicious software simply by visiting a booby-trapped site. 1. Design letters :- Design and customize you mails for you visitor and customers . 2.Animation :- Insert nice and effective animation according to letter . 3.Sounds :- Insert mp3 or your own voice recorded sound in mail . 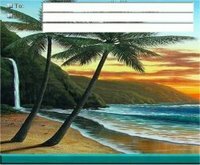 4.E cards :- Send nice E cards to your friends and relatives . 5.Notifier :- This is the one of the best option i like in this you can choose your own email notifier from options , whenever we receive any mail a dog or another notifier will appear on desktop screen and tell you that you have received a mail . 6.Skin : - Choose which skin you want for your mail box . So don't wait decorate your emails with new Christmas content!Marry Christmas and happy holidays to all of you. 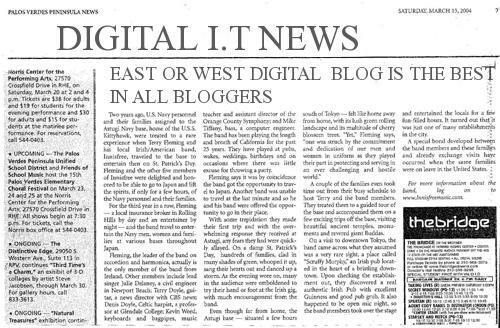 Now Digital I.T Blog is almost 4 month old and my blog friends are also increasing , So I have created this page is dedicated to all my blogger friends those have exchanged blog links with me and also i have posted my favorite blogs links which i like to read and get inspired . Blogger those have exchanged link and I read , You can name them as blog Family . We know that 60% to 70% blogger are blogging for money but are they able to earn money , I don't think so , among India i have found only two blogger till yet those are earning fix money and those blogs are labnol which is blogged by Mr Amit Agarwal and according to me he must be the highest earner in India in blogging sector and second blog is techbuzz which is blogged by Mr Thilak .Now everybody wants to earn money but do you think that adsense is ok for that , beside adsense we should try other things also . I have found few more sources for where we can earn money while blogging . 1. )Blogads :- It is a network of best bloggers who collaborate to promote and sell blog advertising.If you have receive nice traffic to your blog than you can apply for this program. 2. )Text Link Ads :-> Here you can apply for account and if your blog gt approved than they will provide text link just post that link to your blog sidebar and get paid . 3.) Blogitive :->In blogitive first you have to signup and wait for approval .If they approves your blog than you can start earning money with posting articles for other companies and if your articles get approved by company than you get paid by paypal . minimum offer cost which i got was $ 5 . You can accept as many offer you want to post . Take preview what you have to do in blogitive . Best site which is growing day by day . In this site we get paid for posting and replying discussions . Money also paid by them their are so many youngster earning money from this site .Money paid on every 15th by paypal . I am still searching for more sources , if you knew any other good sourcs plz do tell me in comments. To make our blogs popular we try many things , like from posting comments to pastings outbond link to get some inbound links . But I think so it is not enough ,so that why i have searched few nice tools to make blogs popular . 1. )Submit blog :-> This service is offered by submitemnow . By this tools you can submit your current published pages to blogmemes .Just install this tool on your pc and after that just right click and submit it .It is available in English as well as in Japanese, Spanish, French, Belgium, Chinese languages. Best part is that if you are using Firefox than you can get this service in Firefox add ons . 2. )Pearl crescent :->If you want to take snapshot of any webpage , picture or of a specific document on net just click on camera wait for 2 second ,after that you will here a sound like camra makes click and image is saved in your folder . Best part is that just adjust page screen and take the picture of that place which you want to post . Like you want only capture head picture than you can do that even by simple click . This tool is also available is plugging for firefox user .It adds a small icon on the status bar at the bottom of your firefox window, and a toolbar button. Get it from here www.pearlcrescent.com . You can also right click on that page and take the picture like this . 3. )Add to any :->Create an Add to Any button so your blog / journal / profile readers (and friends) can see your posts and entries with the services they use. It even provide you to facility to paste any text which will appear on the page your visitors see after clicking your Add to Any button or link. Create you add to any button here www.addtoany.com . 4. )Blog linker :-> If you want more traffic to you blog then try blog linker .This is free tool which helps you to increase traffic to your blog by using automatic reciprocal linking. Just sign up and paste their code anywhere on your blog . Try it here... www.bloglinker.com . 6. )Track visitors :-> Track your visitor like how are they finding you . Link Feedback allows you to see --- and show --- where your visitors are coming from. This script allows you to display your referrer list on a web page other than the one you're tracking. For example, you might want to show the referrer list in a popup or window or an "about this site" page. You can get it as Firefox plug ins also . VideoDownloader add a small icon on the status bar at the bottom of your Firefox window, and a tool bar button. Just click that and download the video you are watching ! Get it from here www.firefox.com or visit their site videodownloader . USWeb is one of the best leading internet services providing firm . It helps her clients achieve high revenues, profit, market share and customer loyalty objectives through internet marvelous strategies and systems .USWeb partners with a diverse and prominent portfolio of clients , from medium-size organizations to Fortune 100 corporations. USWeb was founded in 1995 and now it has offices all over United States and today it known as one of the most experienced ,qualified and professional internet consultant in the world. In today's market, there is a broad range of online marketing opportunities. But todays succesful online marketing depends largely on your ability to identify those who provides the best opportunity to reach your target audience and costumers in a scalable and effective manner and I think USWeb has mastered himself in this work .USWeb designs, develops and implemantc custom web systems and intrgrated online marketing solutions which mainly focus on brand awarness , audience , development and customer retention . With latest research confirming that 70-80% of prospective web customers use search engines or search directories to find relevant content, search engine marketing is the best method widely used for attracting visitors to a website. Now you can take benefit by USWebs by her superb search engine marketing services are designed to get your website notice when a potential buyer are looking for the product and services which are provided by you . Small story about bloggers . How they come to know about blogs and started blogging . First time blogger must be searching for content like create free website and earn money or he must be introduced to blogs by one of his friends . Then he also signed up in blogger.com and created his blog with his favorite content and material . After few days he starts surfing other blogs to get inspired but what is the first thing that every blogger catches , that is others blogger template design and than he starts thinking that when he signed up for bloggers account he didn't saw such kind of template design offered in blogs template . Next mission he just post comment on that blog and ask him that please tell me from you got or downloaded this template design . If he didn't recieves any answer from that side , than he starts searching in google download free blogger templates ( results like :-blogger-templates.blogspot.com) .Now he get satisfied with some new template design he download from these sites. Main mission starts now if he is serious or love blogging , than from now he will start surfing internet for more content and stuffs for posting . After blogging 1 or 2 months now he wants to be in google search engine and starts signing up social bookmark services like (digg it , technorati ,delicious ,furl, etc...) and after few days working hard atlast he find his link in 9 to 14 th numbers in google . 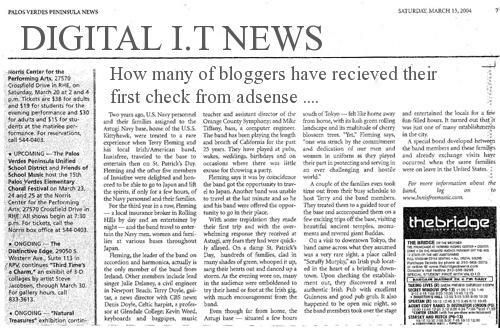 Now he come to know that if he paste adsense code on his blog than he can earn few bucks while blogging and some of the bloggers signup for adsense in first week when they started blogging . 1.) Can we exchange links , i have blogrolled you . 2. )Can you tell me where to place adsense code for better results . How much i can earn like you . 3. )From where i can get good traffic . 4. )After that blogging sucessfully for more than 6 to 7 months , some of the bloggers starts earning quite good amount from adsense or from other affiliates . 5. 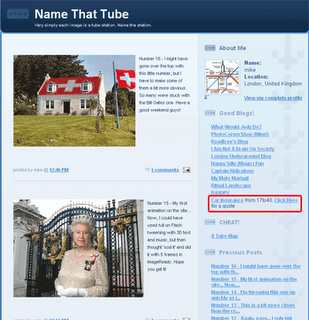 )Now they decides to buy own domain name for their blog , so that their blog can be found in search engine more easily . Now last and final aim that never come to an end to achieve and maintain your position in search engines and try to use new tricks to increase their earnings . But by looking at the growing bloggers ratio we should stop calling it bloggers community but start calling them bloggers family . Friend's just checkout this cool top rating flash game .It may take 5 to 10 minute but checkout , it's very nice game. 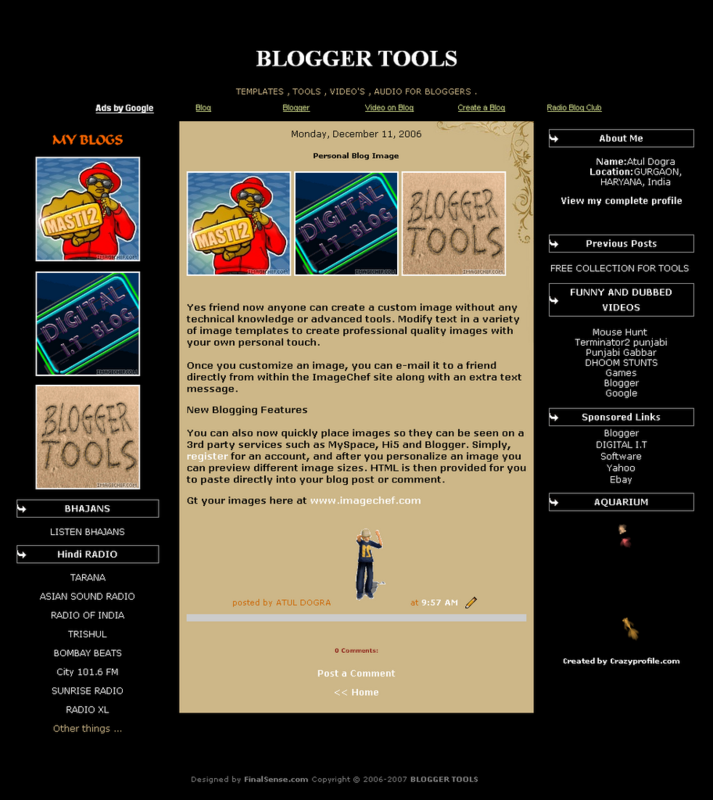 Design your blog with custome images . No need to pay anyone for banners and logo if you can design your self for free . I have searched few sites from where you can design what you want for your blog or website . By these sites you can create logo ,avtars, banner , sign generator , email notes , glitter text , customize own images. 1.) Write some thing on cigrate packet. Their are few common and basic keyboard shortcuts and everybody should know about them becuase they play very usefull role sometime while surfing . Specialy when your mouse stops working . Ctrl Alt Del is the mother of all keyboard shortcuts, affectionately known as the "three-fingered salute," since it's so useful when your Windows box locks up. Pressing the combo once (simultaneously) opens the Windows Task Manager. (From within the Task Manager, you can force-quit a crashed program, see a list of processes or applications running on your machine, check performance parameters such as how hard your CPU is working, or track your network usage.) Is your machine totally locked up? Reach over, grab the mouse and click Shut Down. Ctrl C copies text, files, or icons that you've highlighted, Ctrl V pastes them where you point your mouse (hey, you can't completely eliminate using it), and Ctrl X cuts whatever you've highlighted out of the document (or folder, photo, movie clip, or whatever it is you're working on). Ctrl A highlights the entire file you're working on or everything in a folder or on your desktop. Alt Tab lets you switch on the fly between all of your open windows. Press the combination once to switch to your last open window or multiple times to switch to any other open window. Holding down Alt Tab will bring up a system window that shows you what apps are running and which one you're switching to. Ever wonder why almost every Windows program has the F in File underlined, not to mention the E in Edit, and so on so forth across the top of the Window? Hit Alt that letter to open that particular menu; you can either use the arrow keys to move around within that window, or keep your eyes peeled for more underlined letters to use more Alt key combinations. The Windows key (the one that looks like the Windows logo, or a flag) R opens the Run dialog. From here, you can launch a command-line window by typing cmd, but you can do a lot more. You can, for example, paste in a folder path, such as C:\Documents and Settings\[username]\My Documents\Expenses, and Windows will open it automatically. You can also use the Run dialog to open Microsoft applications such as Word, Excel, or Notepad. 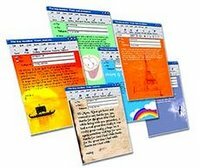 Just type winword to launch Word, type excel to launch Excel, and notepad to launch Notepad. Windows E launches Windows Explorer, defaulting to My Computer. F3 launches Search if you're on the desktop or in a folder. Windows M minimizes all open windows, and Windows D shows your desktop. (These results look similar, but they're slightly different; Windows M minimizes all windows that support the command, while Windows D actually raises the desktop to the top.) This is a great one for when the boss pops up in your cubicle. Once the boss gone, hit Shift Windows M to bring up your minimized windows, or Windows D to drop your desktop back down again. Lock Computer:-> Use Windows key plus L to temporarily lock your Computer when stepping away from it - Use your Windows password to unlock. Friends if you don't have or don't want to pay money to any seo company or optimiser like me and want to be in search engine in few days than follow these steps , by thse steps my blog was in google search engine in 13 days . 1. )First submit you blog here . 3.) Now copy this code and paste below meta tag codes . After pasting this code below (<$BlogMetaData$>) change the description and keyword and insert new keywords there related to your blog . 4. )Now submit you blog/site feeds and updates , so by this other will come to know about your blog.Sign up on these site to submit your feeds. 5.) Keep posting time to time and always ping technorati whenever you update your blog . 6.) Visite friends and others blogs and keep commenting on others blog it generate back link to your blog .For proff just search for digitalmail in google search engine and you will find more back links rather than direct link to my blog . Specially thanks to MR. ASHOK from his blog i have gr8 back links in google search eninge. That's all I did anything else you know please do tell me in comments . From last one week I am noticing this adsense new label image on my blog . I thought that like google changed it's search engine logo like that they must be thinking something new about google adsense images also but after searching one week i came to know that it is happning with me only , because I didn't find any other blog or website with this picture image on adsense .Then my search came to an end on one blog where i saw same picture topic . What he was saying about this was "It seems google is trying out new ad formats no tin the sense you are thinking of though. More in the sense of removing the ads by google label with something a little easier. This is supposed to increase CTR by catching a user's eye." After reading same topic my search came to end . Money4blogs is a website which offers cash for a simple text link advert on blogs or any website. It is very simple, if you have a blog they will pay for a very small unobtrusive link on it. When I say small I only need 20 words and the link can be as small as 8px. I don’t mind where on the page you paste it as long as it is in the permanent part of the page (i.e. it wont get archived and lost) . Money4Blogs is run by Mike Day of Endsleigh Insurance, a UK based insurance company. The text links they buy are used to promote Endsleigh and other websites owned by The Endsleigh Group. The objective is both advertising on popular blogs and acquiring links that have a value in terms of search engine optimisation. They use paypal or credit cards to pay and in the case that you cant accept either I will send a cheque. It's not just a picture creatd by me , but this is my question for all of visitors just tell me how many of you hav earned money from adsense and how much you have earned , because till yet now one came in my touch who has earned money from google adsense . please tell me in comments if yes than also and if you have not earned then also tell me from how long you are blogging . Is Gmail worth the risk? Gmail users are passionate devotees of the free Google email service. Some typically jaded bloggers even believe that Gmail is "perfect" (see "Googles Gmail: Still far from perfect."). Should Google love be unconditional? Should Google love blind users of the risks they run by using its services? Should Google love exempt the Google corporation from scrutiny of its stated and real desire to manipulate all of the “the world’s information,” personal, public and private, in support of its multi-billion dollar profit objectives? NO. Google Gmail is not email business as usual. Such flippant retorts are as naïve as Google’s “do no evil” slogan. Nothing is risk-free: Risks of fraud, data manipulation and identity theft can be reduced, however, by choosing email systems which provide for more user control and which are not integrated within data mining business models. "Kama-sama": Oh no! Now they'll have access to pictures of my pets and where I'm planning on meeting a friend for lunch tomorrow. And the only reason I can think of that someone will actually look through the messages is if that person commits a felony and they're to be used as evidence, in which case I'm all for that since the person gives up most of their rights at that point anyway. I've got nothing to hide, so I'd gladly pay that "price" for this service. "mrwonder": GMailUnPrivacy.It gets interesting when you notice the topics of ads on your email frame. Try putting different topics into letters sent from or to your gmail account. There is definitely data mining in action….Fortunately, there is no crosslink between your gmail identity and any other. WHAT DO YOU THINK? IS GMAIL WORTH THE RISK? A nice simple and cool blogger template template. BANGALORE: Satyam Computer Services has announced that Microsoft has selected Satyam to participate in the Windows Vista Application Compatibility Factory (ACF), a program designed to help organizations around the world implement Windows Vista, the latest operating system from Microsoft. “As a global Microsoft partner, we believe Satyam has the capabilities to provide well-tested Windows Vista-compliant applications and help customers realize their potential on our platform,” said Brad Brooks, general manager, Windows Client Group at Microsoft. Satyam is amongst the first and one of six global organizations (of Microsoft’s 660,000 partners and 15 globally managed partners) participating in the ACF. Several Satyam experts have undergone training on Windows Vista, and are qualified to oversee and facilitate deployment of the operating system, which will become available later this month, a Satyam statement said. Specifically, an ACF partner will help customers determine how to make their existing applications work with Windows Vista. Satyam will help customers identify application compatibility blockers, assess their application inventories, and determine the best ways to proceed with implementation. 3) low payouts per click. This article discusses the first frustration, which is highly correlated with the other issues, and discusses what webmasters can do to combat it. To begin, it is important to understand how Google determines what ads to serve via the AdSense program. This explanation goes back to April 2003 when Google acquired Santa Monica, CA-based Applied Semantics. Applied Semantics’ products are based onits patented CIRCA technology, which understands, organizes, and extracts knowledge from websites and information repositories in a way that mimics human thought and enables more effective information retrieval. A key application of the CIRCA technology is that it allows Google to, without human intervention, understand the key themes on web pages in order to deliver relevant and targeted advertisements. example, in a general web page about health topics, AdSense is currently serving ads for insulin even though only two words in one paragraph relate to insulin. Rather, the site is much more focused on dieting. if the ads do not relate to the topic discussed on the web page, visitors will not click on them. Likewise, TopPayingKeywords.com always tells clients never to try and trick AdSense. That is, if customers are coming to your page from a link or advertisement for one topic (e.g., hair styles), never try to create a page about an unrelated topic (e.g.,mortgages), just because that unrelated topic is an expensive keyword. While you will beserving expensive ads, because the topics are not correlated, visitors are unlikely to clickon them. These new pillows are fashioned similar to a portable music player. They are soft and durable, but wait! They are not just an ordinary pillow. The MP3 pillows can actually play your favorite music. 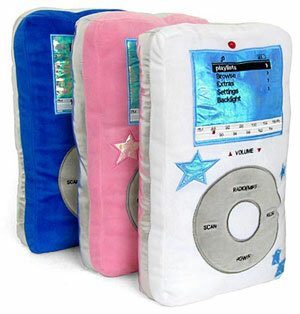 The pillows have hidden pockets to plug in your portable music player and you can also listen to built-in FM radio. My favorite feature of this pillow is that its button is actually working; you can change the volume, switch to the radio, scan stations and if you want to rest just shut it down. ThinkGeek describes "The MP3 pillow is fuzzy on the front and shiny silver on the back. 9" x 15" x 6". 100% space-age polyester so it resists stains. AA batteries required, but not included. Since there are electronics inside, you shouldn¡¯t wash it - spot cleaning only." A feature about to be launched soon — and maybe already has for some of you — takes care of a highly requested feature and will make it even easier for users to switch to Gmail. It's called Mail Fetcher, and it lets you check up to five different POP mail accounts right through your Gmail. This means you can now check accounts like your ISP address from within Gmail without setting up forwarding rules. Choosing the right blog software for your new blog requires that you ask yourself some questions and make a list of all of the features and tools you need as well as your budget. Once you have this information written down you will be prepared to start shopping for blog software. However, keep in mind the following seven tips for choosing the best software for you. These allow you to update your blog and are very important in blog software. Make sure the blog software you are interested in provides automatic ping updates. Whatever blog software you choose, you'll want to make sure that it has an area for comments from visitors. This will help you understand what is successful in your blog and what is not, as well as guide you in future blogs. This is a really great tool and should be part of your blog software. If you are discussing your blog on another blog, or simply adding information to another blog, trackback will allow you to update this information. This is a little confusing, but trackback allows you to talk on your blog about information on another blog and ping the writer of the other blog to let them know what is going on. Trackback is certainly a feature you want in your blog software. Pingback is similar to trackback, but it just sends a URL to the other blog to let them know you are talking about their blog on your blog. This is not used as much as trackback, but you will want a blog software that has at least one of these two functions. The point of a blog is you can post information instantly online, so you want your blog software to be similar to a word processor and web based without a shadow of a doubt. You want a blog software that supports archiving, and most of them do. The reason for this is you will want to save all of your past blogs by the date they were published and archiving allows you to do that. Another great tool you will want in your blog software is the ability to categorize. You want to keep your blogs organized and in categories, if you have them, so this option is really a great one for most bloggers. There are lots of types of blog software available. You just need to do the research and compare what you find with what you need and then... start blogging! Weblogs, or blogs, as they are commonly called, are the primary reason RSS gained popularity. In fact, one of the earliest uses for RSS was for bloggers to monitor other blogs for updates. Most blogging systems will produce RSS newsfeeds automatically. All you need to do is enter content, and the blogging software will build a newsfeed based on the information you enter. No extra work is needed. Just add content to your blog, and you have a newsfeed. But there is one major disadvantage to using a blog for publishing RSS: you do not have complete control of the RSS output. Most blogging software will simply take an excerpt of your blog entry (eg, the first 15 words), and use that to create your RSS item. As you can imagine, this can lead to problems. The first 15 words of a blog entry don’t always capture the essence of that article. Because of the inadequacy of blogs as a reliable and accurate RSS tool, new stand-alone software was developed. This software has one purpose: to provide the user with an easy way to create and publish RSS newsfeeds from their desktops. No longer do you have to write a long article in your blog to produce RSS feeds. All you have to do is enter a title for your news item, and (optionally) a couple sentences to describe that headline – and your feed is better than the blog-produced feed. Examples of RSS publishing software for Windows include FeedforAll (http://www.feedforall.com) and Newzalert Composer (http://www.castlesoftware.biz/NewzAlertComposer.htm). Mac users have their own tool in Orangebox for Macintosh (http://www.globalsyndication.com/orangebox-for-macintosh). While subscribers to feeds generated by RSS software enjoyed the simplicity and clarity of the new feeds, some publishers began to run into problems that came with the publishing software. They missed the convenience of blogging’s online publishing that allowed them to add news -- regardless of whether they were at their home computer. News publishers wanted the accessibility of online blogging with the accuracy of RSS publishing software. The new demand lead to the emergence of online RSS publishing systems such as FeedServer RSS Hosting (http://www.globalsyndication.com/rss-hosting). This new format of RSS publishing allows webmasters to login to an online control panel and publish their news – without having to worry about restrictive software licenses. Since most online RSS publishing systems run on a subscription basis, you can make use of the free trial or subscribe for one month and evaluate if the service meets your needs. So which system should you use to publish RSS? It depends on your needs. If most of your readers manually visit your site to get new information, a blogging system may be sufficient. However, if you plan to take advantage of the full capabilities of RSS news syndication, you would do well to use a stand-alone RSS publishing system. RSS publishing software will satisfy your needs if you plan to use one computer only. But if you’re looking for flexibility and a lower startup costs, look into the new online RSS publishing systems. Josiah Mackenzie is an entrepreneur and small business owner. His website (http://www.josiahmackenzie.com) contains fresh tips and advice for business and internet marketing. Version 3.0 adds new features like RSS support, photo sharing, and secure connections. 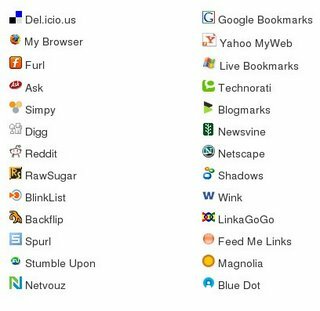 Yahoo Toolbar is a free, customizable toolbar that lets you navigate your favorite sites and search the web from anywhere. 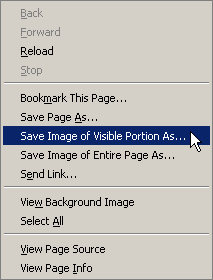 Yahoo Toolbar also includes features like Pop-Up Blocker and Anti-Spy. 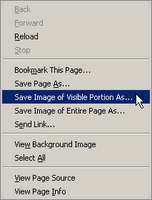 Customize your toolbar and save your bookmarks online for one-click access from any computer. Version 6.3.6 may include unspecified updates, enhancements or bug fixes. CD/DVD recorders and media are pretty mature and stable products at this point. But if you aren't careful, a bad burn could still happen--and leave you with only a bicycle reflector for your effort. Here are the five most common disc-burning errors, and how to avoid them. 1. You didn't verify: If there's a golden rule for burning discs, it's "Thou shalt verify." Using your burning software's verify (or validate) function to compare what has been written with what was read is your best hedge against nasty surprises down the road (see FIGURE 1). The verify function won't increase your chances of burning a disc successfully, but it will let you know of a problem in time to burn another disc. Many a seemingly successful burn will bug out when you play it--not because the disc has gone bad, but because the burn was bad to begin with. 2. It's the wrong media: In a perfect world, choosing the right media wouldn't be an issue. But nothing is more frustrating or embarrassing than sitting down in front of Grandma's TV at the family reunion only to watch her DVD player choke miserably on the photo album you labored over so dutifully. The moral of the story? Select media that you know your player (or Grandma's) will support. In the case of DVDs, that means choosing from DVD±/RW or DVD-RAM. If you buy bare, no-name blank media (CD or DVD), follow the golden rule above (verify!) --and prepare to run into the occasional bad disc. In my experience, DVD media tends to be a lot more reliable than CD media; but generally speaking, the lower a disc's cost, the better its chances of heading straight to the scrap heap. 3. You're going too fast: Nobody likes waiting around for a disc to burn. Unfortunately, going as fast as you can isn't always the best strategy. While I've rarely had problems burning rewritable CDs and DVDs, their recordable counterparts are a different story. Some CD-R and DVD-R discs burn at top speed correctly, but I've experienced blowouts with many others. Once you factor in the time you spend trying to determine what the problem is, you might be better off stepping your burn speed down a notch (see FIGURE 2). And unless you're using a stopwatch, you'll never notice the difference between, say, 18X and 16X anyway.